Ay mon! Featuring the most chill pill around, the Rasta Silk. 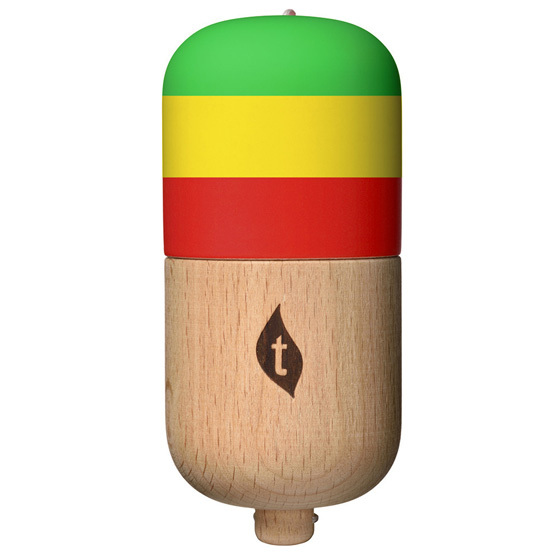 This trip split color way was inspired by our Tribute Rasta Kendama and the many requests we received for it. Our popular silk paint have a great tackiness that allows for small adjustments during balance tricks. The Silk style paint is a player favorite and is proven to help you lace and improve your tricks. Every Rasta Silk Pill comes in professional packaging, and includes an instruction manual, free stickers, plus a replacement string and bead pack in the box.